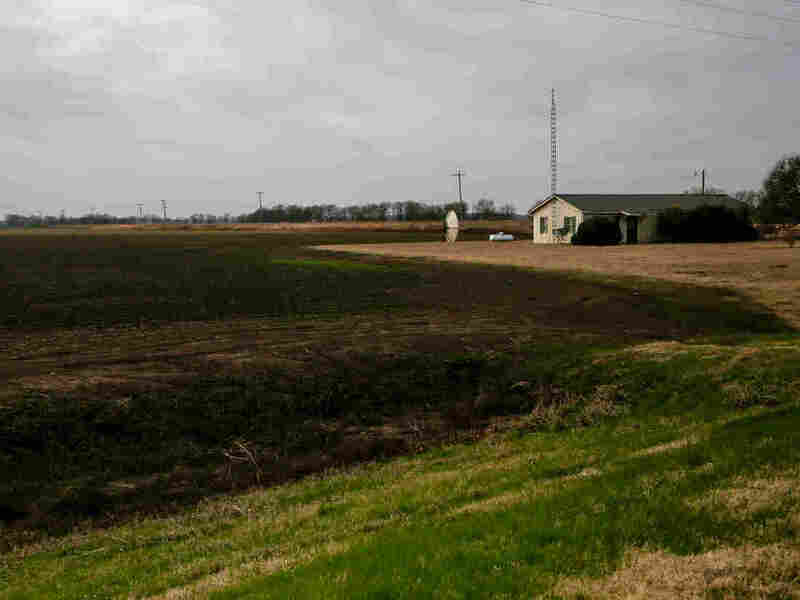 The Legacy Of The Mississippi Delta Chinese Chinese immigrants came to the Mississippi Delta as agricultural laborers. 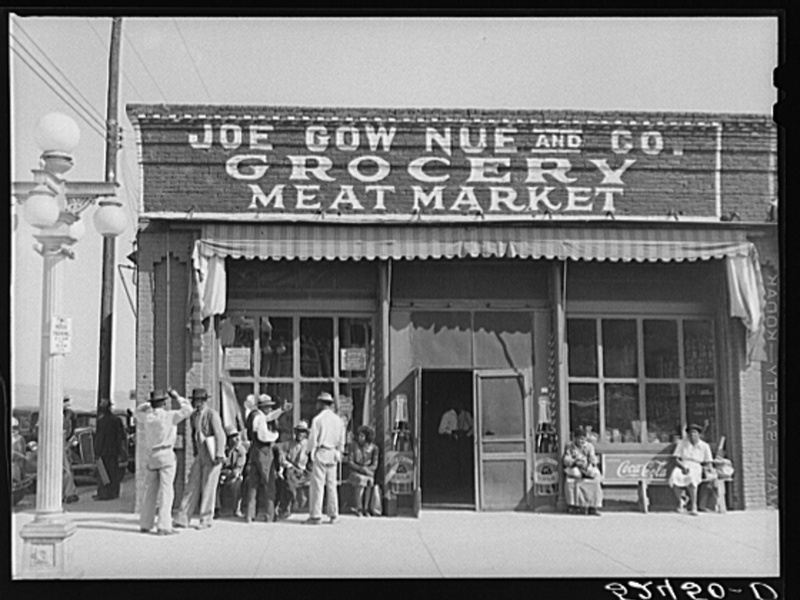 Many moved on to become grocers in African-American neighborhoods. Some stores remain, but many folks have moved on and away. 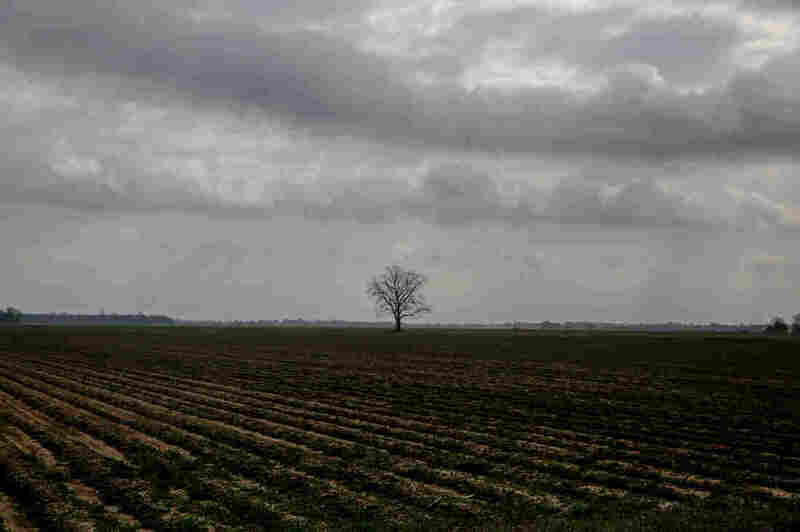 The Mississippi Delta is known for sharecroppers, cotton fields and blues music, but it has also been a hub to Chinese immigrants over the last century. "We were in-between," Wong explains, "right in between the blacks and the whites. We're not black, we're not white. So that by itself gives you some isolation." 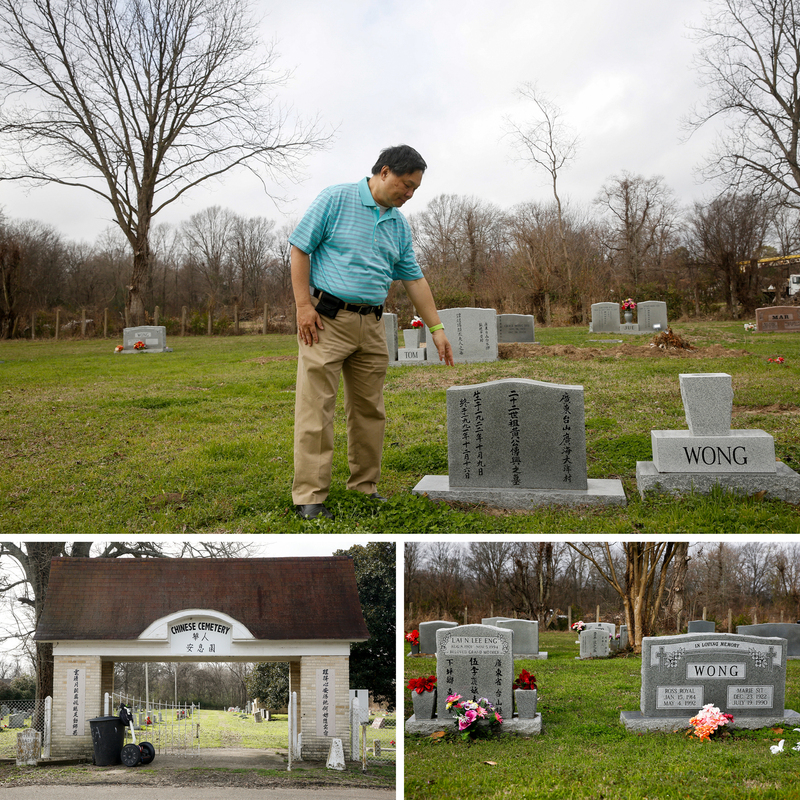 Raymond Wong (top) visits the gravesite where his parents are buried in Greenville, Miss. Wong's parents are buried in the Chinese cemetery, right across from an African-American cemetery. His family has long been part of a thriving, but separate, Chinese community. We walk in the shade of a huge magnolia tree that stretches out over the gravestones. They're carved with Chinese characters, and bear the names of the Chinese families whose history here goes back decades: Quong, Yu, Jung, Fu.... and Wong. Raymond Wong leads me to the graves of his parents, Pon Chu Lum Wong and Suey (Henry) Heong Wong. His father immigrated to the Mississippi Delta from Canton, or Guangdong, province when he was 15 in the 1930s; his mother arrived several years later. Like most of the Delta Chinese, they were merchants. Virtually all the Chinese families of that generation opened and ran grocery stores. The number of Chinese merchants and grocers steadily grew throughout the Mississippi Delta in the late 1930s and early 1940s. The first wave of Chinese immigrants came to the Delta soon after the Civil War, and the pace picked up by the early 1900s. The Chinese originally came to work picking cotton, but they quickly soured on farming. They started opening grocery stores, mostly in the African-American communities where they lived. Greenville, in particular, was known for the dozens of Chinese groceries open here in the heyday: as many as 50 stores in a city of some 40,000 people. "I was raised in a grocery store," Wong says, and he means it literally. The Wong family lived — all six of them — in a couple of rooms at the back of their store. "Everyone else I know grew up in grocery stores," Wong says. "I'm sure as soon as we could count money we had to work in the front." The stores stocked meat, fresh vegetables, canned goods, laundry soap, washtubs, anything you might need. Nothing Chinese about them, except the owners. 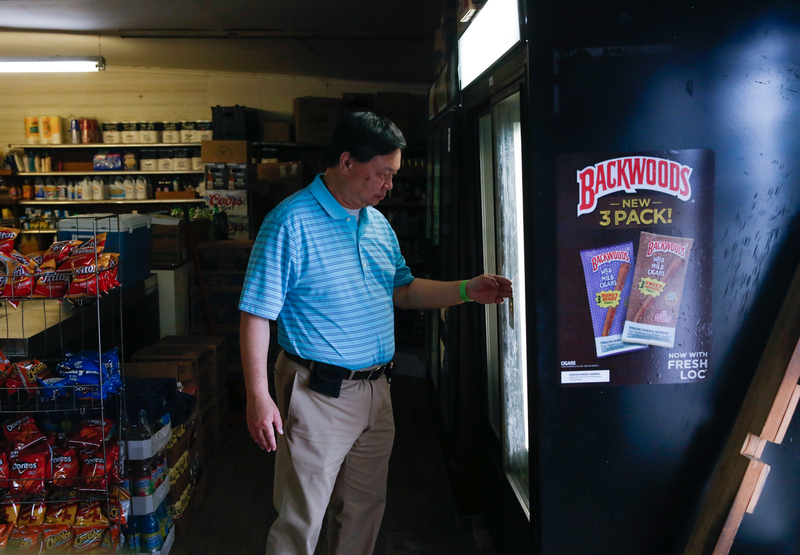 "On my block itself, we had at least four grocery stores," Wong recalls. "I'm talking about a small block, too." Kim Ma grocery store used to be owned by Raymond Wong's (pictured) parents. He grew up there — literally. His family lived in the back of the store. In 1968, Wong's father opened a Chinese restaurant called How Joy in Greenville, one of the first in the Mississippi interior. Raymond Wong says it was a gamble. At the time, he says, "nobody knew what Chinese food is." But the restaurant flourished for 40 years. Raymond worked there, too, serving How Joy steak, butterfly shrimp, chow mein and chop suey. "We had all that kind of stuff," Wong recalls. "Give the people what they want!" Wong remembers hearing ethnic slurs as he grew up, which he got used to ignoring. But the family felt more pernicious discrimination, too. Wong remembers a time of big excitement when he was young: The family was finally going to get to move out of the cramped grocery store. His father had found a house he wanted to buy, in a white neighborhood. Then suddenly, that conversation stopped. There would be no deal. Later, his father told him that the white residents had made it quite clear they didn't want Chinese in their neighborhood. "When people found out that we were moving," Wong says, "they started throwing bottles ... in the driveway. Glass everywhere. And we knew it had to be directed at us. Father told me he didn't want to subject us [to that]. Somebody might get hurt." The family ended up building a house directly behind the grocery store. "But at least it was a house!" Wong says, laughing. "We'd never lived in a house!" We hop in the car to see what's left of Greenville's Chinese grocery tradition. As we drive, Wong points to one battered building after another: "There was a Chinese grocery store right here. Right here was another grocery store, right on this corner." Most have long since closed, but the store Raymond's family ran is still going, under different ownership. 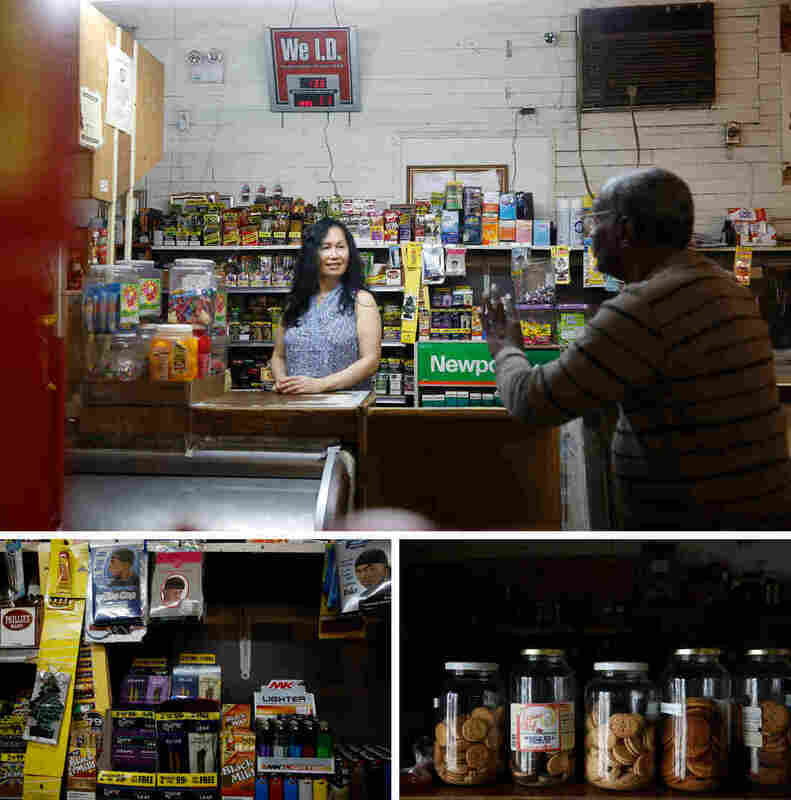 It's now the Kim Ma grocery store, run by Cindy and Danny Ma, selling chips, soda, beer and cigarillos to a steady stream of customers. Cindy Ma tells me business is slow, as a lot of people have moved away from Greenville. Still, with this business, the Mas have managed to put their two sons through college and graduate school. One son is in medical school in Jackson, Miss. ; the other is studying accounting at Ole Miss in Oxford. That's been the story of many Delta Chinese: Work hard. Send your kids to college. Watch them move away. We hear that same narrative 70 miles north of Greenville, in Clarksdale, Miss. We've come to the home of Gilroy and Sally Chow, who greet us enthusiastically at the front door. "Come on in!" Gilroy says. "It's your lucky day! This is comfort food day!" 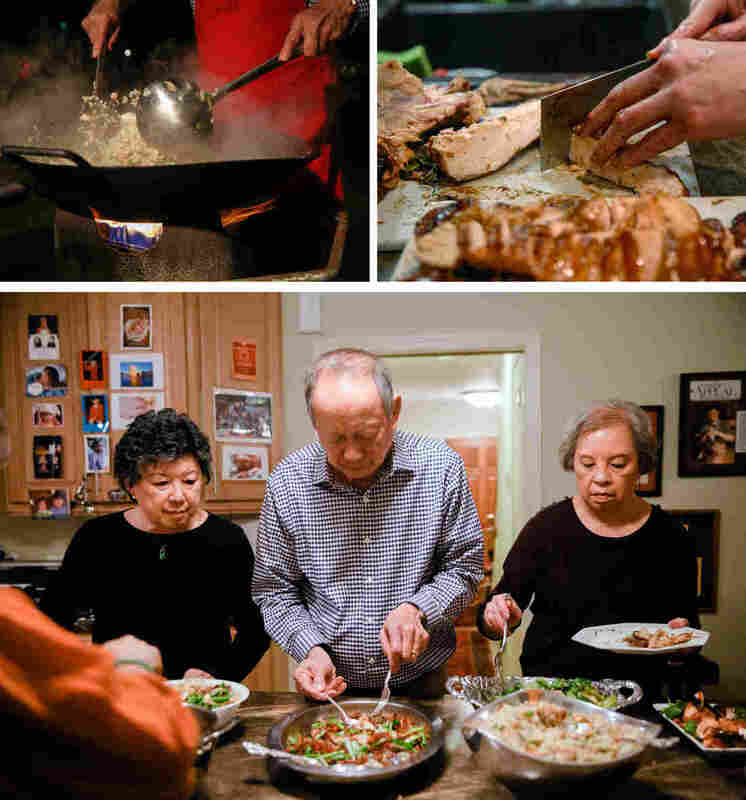 Every week, the Chows get together with friends and relatives to try to recreate the dishes they remember their mothers making when they were young. They're attempting to summon up flavors they fear are getting lost. Sally Chow wonders out loud, "Why didn't I ask mom how she did that?" Sally teaches special education and has a cake-baking business with her sister-in-law, Alice. Gilroy is a former industrial engineer who worked for NASA for seven years. 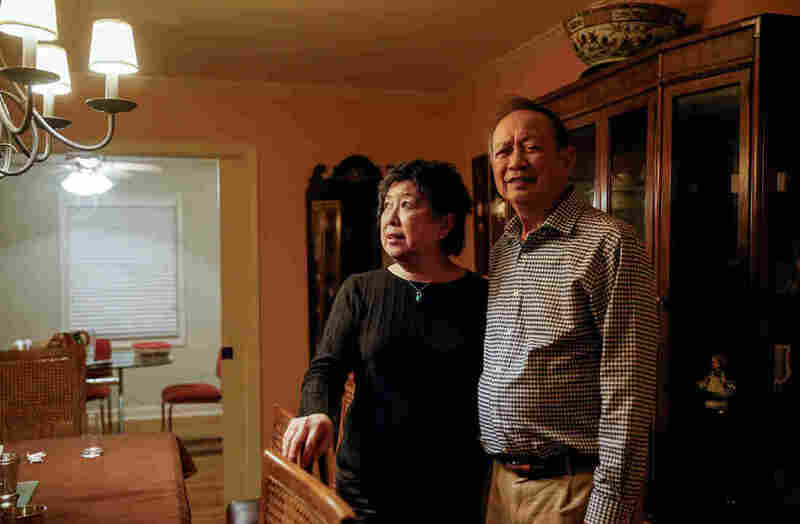 United in their Chinese heritage, the Chows are divided by their passionate school loyalties. Sally and the Chows' daughter Lisa went to the University of Mississippi, or Ole Miss. Gilroy and their son Bradley went to Mississippi State. The family even has a football changing-of-the-flag ritual. Whoever wins the Egg Bowl each year gets to fly their school's flag on top, right in front of the Chows' house. They all march out front, and the loser has to sing the fight sing of the other school. This year, MSU's flag is on top: "Very sad," Sally notes. "When the Rebels win," she says (that's her school, Ole Miss), "we come out the front and we play 'From Dixie with Love' very slow, and we sway." But let's get back to dinner. As the group gets busy chopping and sauteing in the kitchen, Gilroy heads outside and starts tossing fried rice in a gigantic wok nestled into a super-hot, custom burner stand. He tosses in some cubed ham: "This is what makes it Southern fried rice!" he says. Before long, an impressive feast is laid out before us: beef with cauliflower. Whole fish garnished with fried ginger. Spare ribs with carrots and potatoes. Roast pork with a honey-hoisin glaze, and much more. The flavors of their youth. After Gilroy says grace, we settle in around the dining room table. All of the eight people at dinner are the first generation born in America. Like Raymond Wong, they are all the children of grocery store owners. And they all grew up speaking Chinese at home. Sally's brother Sammy tells us, "When I first started school I had a difficult time in the first grade, because I couldn't speak English." But now few around this table can speak Chinese. Everyone here describes a common experience. When they travel, jaws drop as soon as people realize they're Chinese. And from Mississippi. "They ask you, 'What are you doing there! '", says Frieda Quon, who has the thickest, most syrupy southern drawl of all the group. "I guess they just have this idea that it is black and white." "The Chinese face with a Southern accent throws people off," Jean Maskas chimes in. "I was at my daughter's school, and we'd taken some friends out to eat, and they all said, 'I just can't get used to talking to your mother! It's like an identity theft!'" The others chuckle knowingly. Quon says the more she's traveled, the more she's come to realize how unique this Mississippi Chinese community is. "We are all connected," she says. "The other states are not like that, truly. 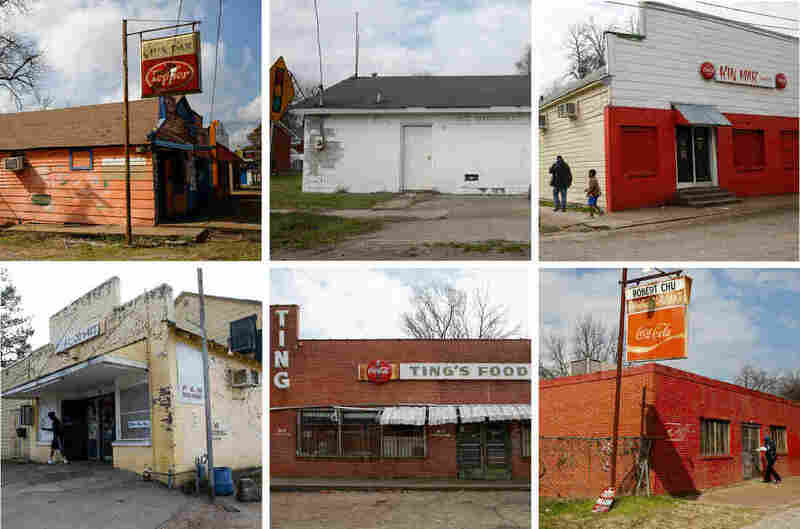 We knew Chinese from Memphis to Vicksburg." As outsiders, they stuck together. They all remember driving for miles to dances that would draw Chinese young people from all over. "They were infamous!" someone says, drawing big laughs around the table. Their children's generation doesn't have that. They're more assimilated, more accepted. Retired pharmacist Sammy Chow remembers the question his son asked when he was still in high school: "'Dad, do you want me to take over the drugstore when you retire?'" Sammy's response was immediate: "I said, 'No. I want you to do better than me.'" His son, Matthew, is now a dentist in Clinton, Miss. "I think all of this generation realize that the opportunities are not here," adds his sister, Sally. Gilroy Chow figures that the Chinese population in the Mississippi Delta has shrunk from 2,500 at its peak in the mid 1970s to about 500 now. "In these small towns, the population is dwindling," says Sandra Chow, Sammy's wife. "For these children who've been educated ... a lot of them want what's in the big cities. Lots of things to do, and things for their families to grow up doing." "But," she concludes, "I don't think it bothers any of us. We're happy that our children are doing well and enjoying life, and experiencing a lot of things that we didn't get to experience because of being in small towns." Dinner over and dishes washed, there's an important challenge still to come. The group is trying to master making steamed buns: working late into the night to keep the old traditions alive. In a previous digital version of this story, Frieda Quon's last name was incorrectly spelled as Kwon. Also, a quote in the digital version, "The Chinese face with a Southern accent throws people off," was misattributed to Quon. It was actually said by Jean Maskas.